SIMmersion’s award-winning Hands-On Interview and Interrogation Training System (HIITS) will be featured as a special attraction in the SIM City section of the 29th Annual Police Security Expo in Atlantic City, NJ. 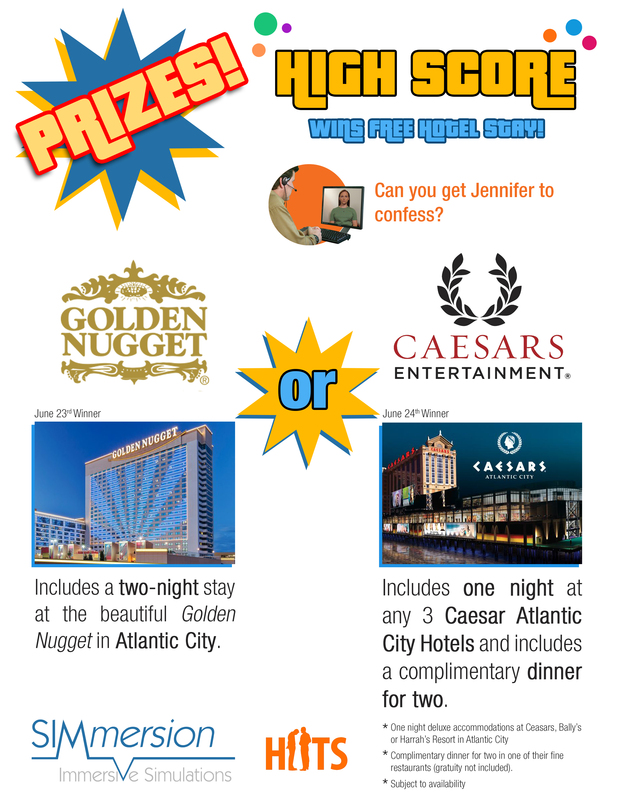 Law enforcement officers who build their assessment and rapport-building skills in virtual conversations with suspect Jennifer Lerner will have a chance at prizes including free stays in two of Atlantic City’s best hotels. In SIMmersion’s award-winning Hands-On Interview and Interrogation Training System (HIITS), Jennifer’s words apply perfectly to her own conduct. She is a realistic virtual character who behaves differently in every conversation and possesses several possible personalities, some innocent, and some guilty. Attendees at the 29th Annual Police Security Expo in Atlantic City, NJ will have the chance to try out their investigative skills with Jennifer first-hand and, if she is guilty, build enough rapport to draw out a confession. HIITS was developed by SIMmersion, LLC, a virtual reality training company founded in 2002 by President Dale Olsen, PhD. “The simulation is a fusion of my life before and after founding of SIMmersion,” remembers Olsen. As a decorated affiliate member of the American Polygraph Association and, at the Johns Hopkins University Applied Physics Lab, the Director of Law Enforcement Program Development, Olsen had substantial professional experience in finding signs of deception and training others to do the same. HIITS includes a comprehensive self-paced training manual about conducting investigative interviews, including video examples illustrating indicators of deception. Users are able to put their knowledge into practice in fully interactive simulated conversations with the suspect Jennifer Lerner, controllable by voice or mouse. Jennifer has different personalities that vary from play to play and an emotional model powered by the PeopleSim conversation engine that makes her more or less trusting depending on what users choose to say over time. The only way to draw out an admissible confession is to build rapport and find out what may have motivated Jennifer to steal sensitive documents from her employer. HIITS has been used by police departments, private companies, and federal agencies, including the US Secret Service, the Drug Enforcement Agency and the Office of the Inspector General. The system was a finalist in the International Serious Games Showcase and Challenge. In the Sim City section of the Police Security Expo, SIMmersion’s HIITS will be waiting for attendees to put their skills into practice. After every play, users receive constructive feedback on their performance from a virtual coach and a detailed score out of 100 possible points on their ability to build rapport and learn what they need to from Jennifer. 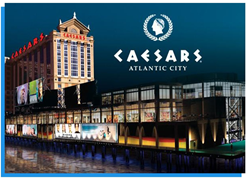 The highest-scoring attendees will receive prizes, including a two-night stay at the Golden Nugget Atlantic City and a VIP getaway from Caesars Entertainment. For more information about HIITS, visit http://www.interrogation-training.com. For details about the 29th Annual Police Security Expo on 6/22 and 6/23, please visit police-security.com.